Today's Tutorial, How to create beautiful desk Calendar' tutorial is fully created by Adobe Photoshop. If you are a beginner learner or mid - level learner, it is for you. 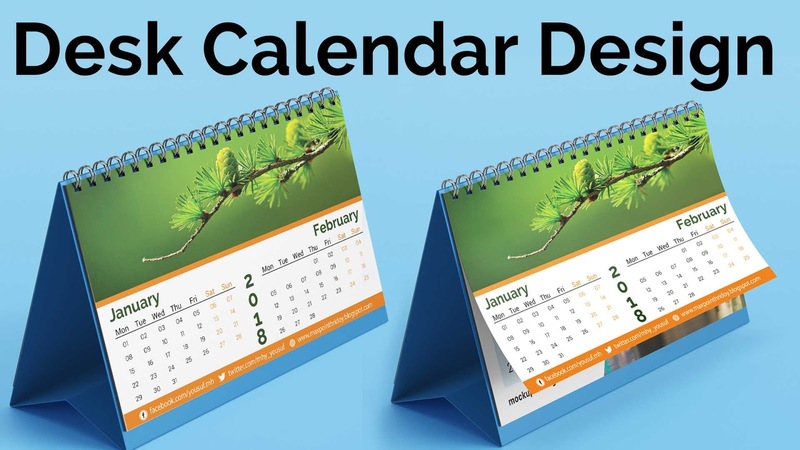 Create a Calender Design using some simple steps...It is the best easy way to make a Calender Design from other software, like Photoshop, Illustrator. This 'Illustrator tutorial | How to create beautiful desk Calendar' tutorial is fully created by illustrator. If you are a beginner learner or mid - level learner, it is for you. From scratch to final result, i have explain every thing here. if you don't know illustrator, no worry, see full tutorial video step by step and practice it. So learning is easy, if you concentrate and see this tutorial start to end. I hope you will enjoy this video. So Please Like this video and Please Do Share this video with your friends. And please Subscribe this channel for more upcoming videos. Easily design a Calendar 2018 in Adobe Photoshop CC. If you have any problem for understand please comment us. Don't forget to subscribe for more and like and share. Comment below and let me know what you think.